What are you most passionate about? Are you willing to fail, to overcome obstacles, and break down barriers in pursuit of that passion? Most importantly, are you willing to wait? Do you have the patience to work day in and day out for six months, eight months, a year, or even five years, in order to achieve your goals? 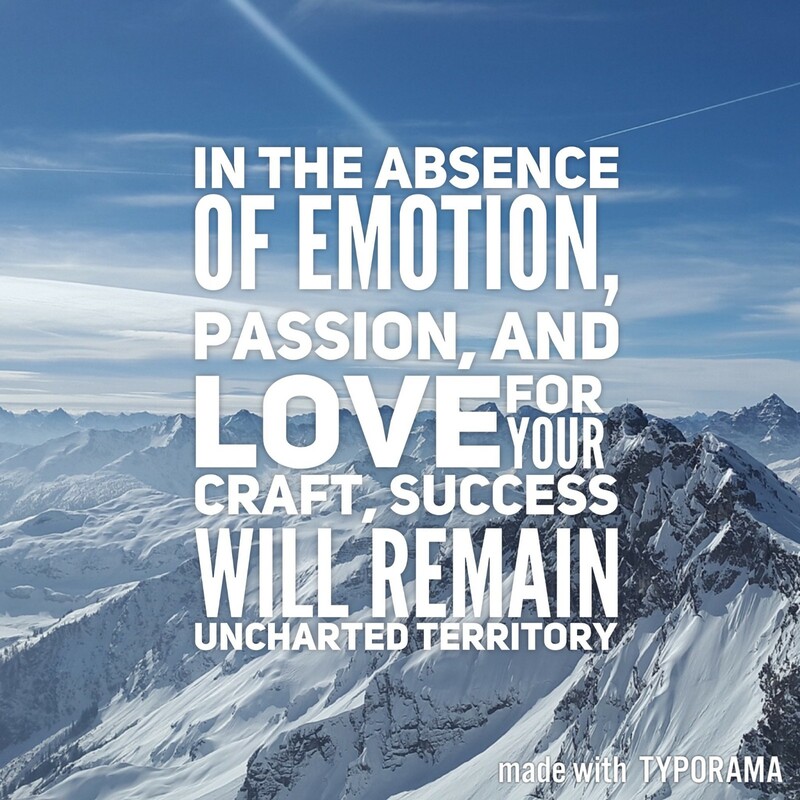 Passion may be defined as an intense, powerful, and compelling emotion. Passion is a sense of conviction toward something or someone. It is a storm, a fire burning within, an unrelenting drive that cannot be ignored. Passion influences all aspects of life: spirituality, health, relationships, careers, and hobbies. It fuels the pursuit and execution of dreams and desires. The pursuit must be relentless. It requires dedication and resilience. As Eric Thomas said, “The important thing is this: to be able, at any moment, to sacrifice what you are for what you will become.” There will be obstacles and setbacks, regardless of your work ethic and talent, there will always be critics, and failure is inevitable. However, if you are willing to make the necessary sacrifices and persevere, you will not be defined by failure. Rather, you will be remembered for your ability to adapt, respond, and overcome. Lastly, you must be patient. Patience is the medium through which passion and perseverance produce success. Rome wasn’t built in a day, and dreams rarely become realities overnight. The pursuit of success is a marathon, not a sprint; find a pace, settle in, and enjoy the race.